Limited water. Limited resources. No help. Brooke Fontanne has to find a way to cross the massive sea of sand that is the Mojave Desert. And with the Southwestern United States now exiled from the Union in wake of the water crisis the entire area is in chaos. Brooke is forced to battle not just the desert elements, but gangs and marauders looking to take whatever they want. Political factions are at odds with each other as Mexico is greedily eyeing the now unclaimed territory. Some congressman are using the opportunity to further exploit resources that may lie elsewhere, with Congressman Jones leading the push. Brooke is caught up in the cross hairs of both sides as the repercussions of Washington ripple through the country. The one light at the end of the tunnel is North Carolina, where her sister is waiting for her. She just has to survive the desert first. 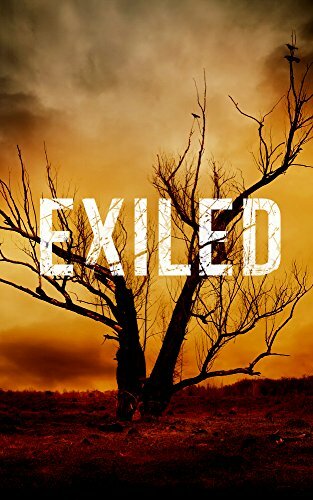 This is the Kindle version of Exiled: No Borders- A Tale Of Prepper Survival (Exiled: A Tale Of Prepper Survival Book 2) that you can also download and read on your computer and mobile phone. Kindle books are DRM protected and therefore, unlike ebooks that are in PDF or ePUB format, you cannot read this ebook without the official Kindle apps.